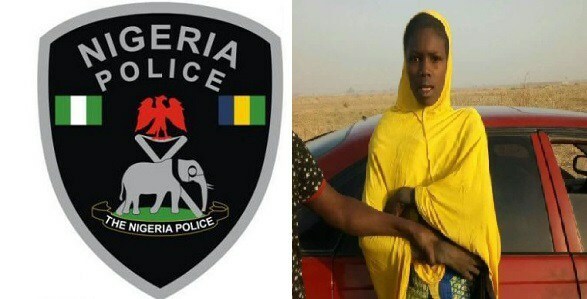 he Borno Police Command on Tuesday confirmed the arrest of a female suicide bomber at the Bakassi Internally Displaced (IDPs) camp in Maiduguri. According to a statement by Edet Okon, Police Public Relations Officer (PPRO), in Maiduguri, the suicide bomber was arrested by men of the Explosive Ordinance Disposal (EOD) team, on Tuesday at about 6: 50 a.m. while lurking around the Internally Displaced Persons (IDPs) camp. He said that policemen condoned off the area, diffused the bomb and apprehended the suspect. The police spokesman added that the suspect is in police custody. Okon said: “on Tuesday, at about 6:50 a.m., a female suicide bomber was sighted behind Bakassi IDP camp in Maiduguri metropolis. On sighting the bomber, conventional policemen alongside the EOD team swung into action and cordoned the area, to prevent escape of the bomber into the city. The suspect, one Zara Idriss was rendered safe, arrested and is now in custody”. Okon advised members of the public to go about their normal activities without fear and to report any suspicious movement in their localities to security agencies. He reiterated the command’s commitments to protect lives and property in the state.